Transforming a classic farm landmark into a stunning home decor accent, this windmill shelf brings style and function to any wall. Made of metal in a galvanized finish, the windmill blades are given a distressed appearance, perfect to complement most any rustic decor style. Use is to bring a little color to your wall with fresh or faux flowers and plants or your own decorations. A pre-installed keyhole hanger on the back makes mounting to almost any wall that much easier. 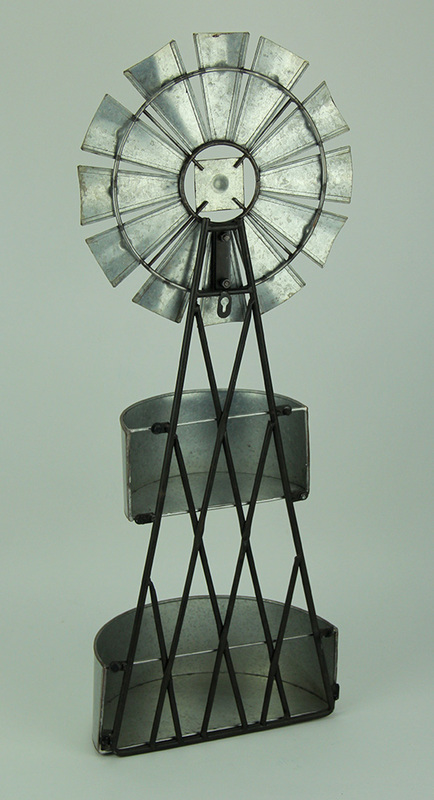 This 31.5 inch high, 12 inch long, 6.25 inch wide windmill wall hanging brings a classic look to any modern home.